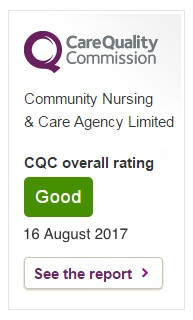 "We are committed to providing the best care services and the best care training in the region." Kim Stevens, Chief Executive Officer of Care in Kent. Why choose Care in Kent? "When it comes to sourcing the best care staff in Kent - there's no debate: it's got to be Care in Kent all the way." 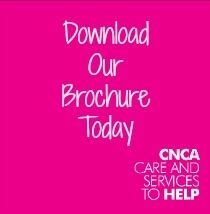 CNCA is based on the core principles of offering the best care services and the best professional carers - that's why we are often and justifiably referred to as THE care agency in the region. 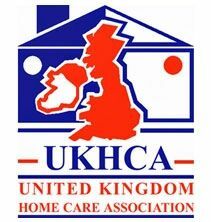 Care in Kent maintains a constant register of excellent healthcare professionals (care and support workers) trained in Autism support and Dementia Care. Every health and social care discipline is catered for. We can supply general carers and support workers as well as specialist psychiatric and learning disability support workers and staff to care for and support children in residential homes and in the community. Each staff member undergoes continuous professional development and training with qualified assessors at our Training and Assessment Centre in Ashford, Kent to ensure that we deliver the highest quality of services to you. We have a professional administrative structure that ensures efficient day-to-day management. Each client has a personal Service Manager who helps develop individual support plans and manages the client's account. In our office we have dedicated managers for key areas of the business, such as Training, and First Aid and Fire Safety, and our Registered Manager undertakes a support needs assessment with new service users prior to domiciliary care and supported living service. Everyday we will look to ourselves to see where we can improve. We wholeheartedly accept and fully understand our responsibilities and will act without hesitation to do all that is required and more. Sometimes people face "extraordinary" problems in their lives, some expected, others unique situations that occur out of the blue. What is meant by "extraordinary" is a problem faced outside of the realm of "ordinary" lives. For instance by a loved one who is enduring some form of physical disability, or a family member experiencing the after effects of a serious operation, a child who is born with severe learning difficulties, or autism, or indeed, just a parent who has grown too old to safely fend for themselves. Each poses their own problems and difficulties. Each come wrapped in their own unique circumstances, not only for the family, but more importantly for the person who requires support and care to help them live an "ordinary" life. If you are facing an extraordinary situation, the question is, "where do you turn to for help?" The first port of call is usually and appropriately social services, who will try and help find a solution to your problem. Unfortunately many changes are taking place within the care sector; today more emphasis is placed upon the individual to arrange their own carers. Herein lies the difficulty and possibly another dilemma for the family. Care in Kent have been helping individuals throughout Kent for more than twenty years years, supporting families and their loved ones at home with qualified carers and support workers. All our staff undertake rigorous police and other statutory checks, a full induction process that examines both their qualifications and references and undergo regular training designed to keep one step ahead of requirements. Once a comprehensive needs assessment is carried out, the appropriate care is delivered and maintained. Care in Kent operate a 24 hour service 365 days a year, manned by our care coordinators who have detailed knowledge of each individual’s needs. If you require help please call us, or if you prefer to email please use the form on our Contact Us page and we will be pleased to respond. The needs of service users lie at the heart of the provision of personal care. Care in Kent's approach is different. We are always positive, motivated, and friendly. We keep clients fully informed with newsletters and communications and with regular visits at their own homes. While the demands of full-time care can be stressful at times, we provide a supportive and nurturing environment for our agency members that allows them to flourish and to give the best service possible. If you would like any further details please give us a call or send your enquiry via our email form on the Contact Us page. Our commitment is to ensure that all members' and clients' needs are met and their expectations exceeded. Care in Kent staff members are selected not just for their skills but also because of their ability to be respectful and maintain dignity whatever the situation at every stage of life. Whether clients require assistance with personal hygiene or getting dressed through to more complex counselling and psychiatric or mental health problems, Care in Kent carers are always attentive. The provision of care must be about attention to detail.